Jim Cowlin is a diligent evangelist for his project, the US Route 89 Appreciation Society. Nothing tells the story better of the beauty along this historic stretch of road than Jim’s photography. Jim recently had a show of his new portfolio of work at the Saans Downtown Fine Art Photography Gallery in Salt Lake City, Utah. Although it was a little too far away for us to attend the event, we were happy to help Jim out with the prints. Last August when we were in Salt Lake City we were introduced to Shalee Cooper, the curator for Saans Gallery. In the course of the conversation I mentioned that I had a new portfolio of prints from the US Route 89 project. Her response was enthusiastic and we immediately started planning for the show. As of October 17th, it is a reality. There are twelve limited-edition prints now hanging in the Saans Gallery as well as a group of smaller prints of scenes on the highway. 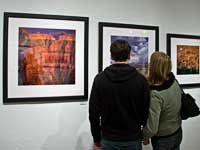 The opening was held during the monthly Salt Lake City Gallery Stroll. I had a good time meeting people and talking about our travels on the highway. One of the gallery strollers even joined the US Route 89 Appreciation Society. The Saans Gallery is located at 173 East Broadway in Salt Lake City. 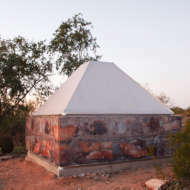 For more information about Jim’s work or the Route 89 Appreciation Society you can visit the project website.